Finally, the Orioles have gotten a first baseman. We can all relax ... for now. They announced this afternoon that they have signed Derrek Lee to a one-year deal. From the Baltimore Sun: The Orioles are close to knocking off a big item from their offseason wish list as they have agreed to terms with free agent first baseman Derrek Lee, according to sources. The deal is pending a physical and the terms of the deal aren’t currently known, but Lee’s camp has made it clear that the veteran was content with a one-year pact worth between $8 and $10 million that would allow him to improve his value in anticipation of becoming a free agent again next offseason. Orioles president of baseball operations Andy MacPhail declined comment. Lee, a 35-year-old veteran of 14 big league seasons, batted .260 with 19 homers and 80 RBIs in 148 combined games for the Chicago Cubs and Atlanta Braves in 2010. However, he played all season with a torn ligament in his right thumb, an injury that he sustained on Opening Day and is believed to have contributed to his decline in power numbers. The season before, Lee, who had surgery on the thumb early last month and is expected to be ready for spring training, batted .306 with 35 homers and 111 RBIs in 141 games for the Cubs in 2009, and finished in the top 10 in National League Most Valuable Player voting. A two-time All-Star and a three-time Gold Glove winner, Lee is a career .282 hitter. According to sources with knowledge of the situation, Lee was lukewarm with the idea of signing with the Orioles earlier this offseason, but the number of teams with first base vacancies has dwindled. The Orioles also appeared to be focused on signing Adam LaRoche, but talks with him reached an impasse over the free agent’s insistence on a three-year deal. Roch Kubatko from MASN Sports has more. Once again, Andy MacPhail has signed a former Cub; however, if Lee can pick up his career after a poor 2010 and bounce back to what he was as a hitter, it will be a boon for Baltimore. Although the Orioles have had some issues with guys coming off sub-par seasons - um, Garrett Atkins anyone -- I think Lee, combined with Camden Yards being a hitters park, and simply being a solid professional should help out the team in the lineup. More importantly (if he's healthy and has not seen that big of a diminish in his skills), he serve as a middle-of-order offensive bat. I do believe his experience will also help him to be a mentor to youngsters like Adam Jones, Nick Markakis and Matt Wieters. He's certainly not known as a fiery guy, or a fire and brimstone type, but he will probably serve as a leader on the squad. The Orioles may not be in the hunt for the big-name free agents due to their-decade plus losing spell, but they got a potentially good slugger with Lee. 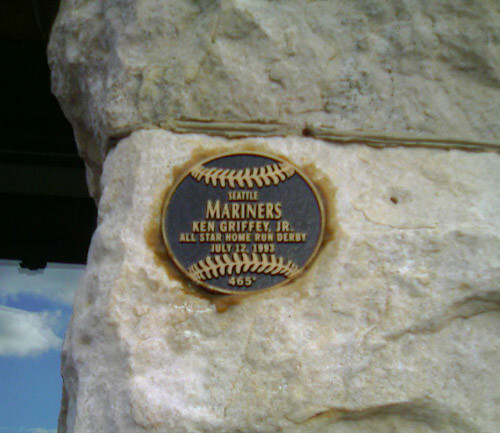 As of most us know, the ballots for the 2011 Hall of Fame induction are due sometime in the next month and the baseball world awaits as to who’ll be included as immortals in Cooperstown, New York. Names such as former Oriole Roberto Alomar -- who would have been inducted last year if not for the Hirschbeck incident -- and Bert Blyleven will more than likely have busts up in the Hall of Fame when summer comes around. 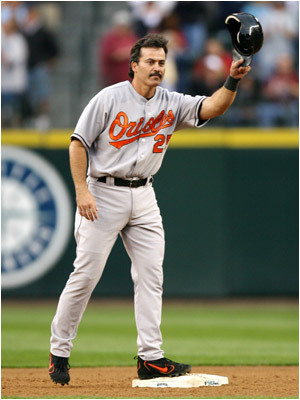 One person who will probably have to pay to get into Cooperstown is Rafael Palmeiro, another former Oriole. His is a particularly sad and befuddling case. Although Palmeiro was never the best player on any of the teams he played, he built a career worthy of the Hall Fame based on his numbers at the plate and longevity. Of course, in the spring of 2005, he told Congress that he didn’t use steroids – period. 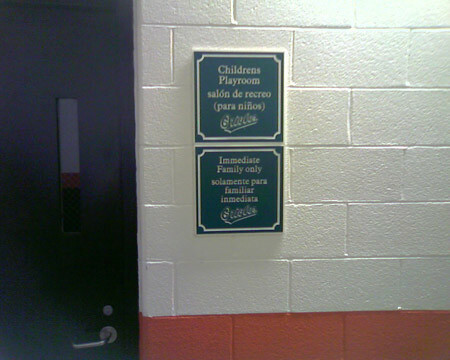 However, a few months later, Palmeiro was the first player snared under MLB’s drug policy. Even up to now, he says he never used steroids and still sticks to the story of Miguel Tejada injecting him with a tainted ‘B-12” shot. Do I believe Palmeiro should be left out of the Hall of Fame – yes. He cheated and got caught. Plain and simple. Seriously, nothing is happening. LaRoche is still out there, as is Lee. One will be the Orioles' first baseman, the other will go to the Nats someone just has to make up their mind first. I would say that its like waiting for Christmas morning to arrive, but Adam LaRoche and Derrek Lee do not arouse that level of drooling, bouncing anticipation - its more like waiting for the end of a long Thursday - you're happy when its over, but you still have work in the morning. And this Thursday we are stuck in has been stupidly long. There really isn't anything to worry about, sooner or later someone will make the final phone call and the long malaise of this acquisition will finally end. The only teams that are still actively searching for a starting first baseman are the Nationals and Orioles; two teams, two players just figure it out. Seriously, it has been a boring couple of weeks on the baseball front. As the holiday season comes to an end January proves to be busy with big ticket free agent Adrian Beltre sitting out there but the Orioles don't figure to be in on Beltre and outside of this pending, make that seemingly endless, acquisition I don't see the Orioles doing much else. 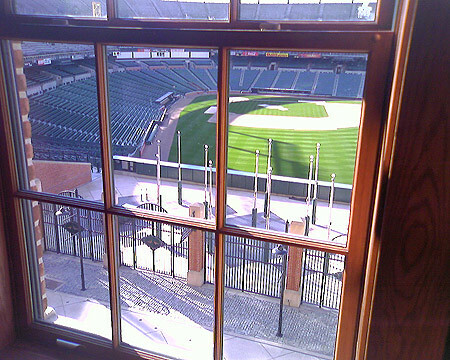 Right before Thanksgiving, I took a tour of Oriole Park before they ended for the season. 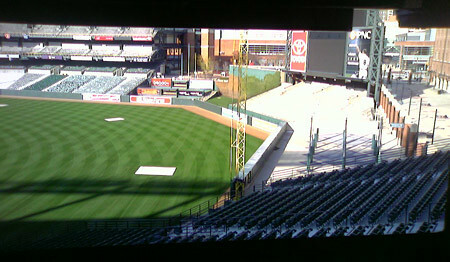 I went to the ballpark on a Saturday and caught some pictures of few of the upgrades taking place in the seating bowl, along with other areas of the park, such as the video control room, press box and from the dugout steps. 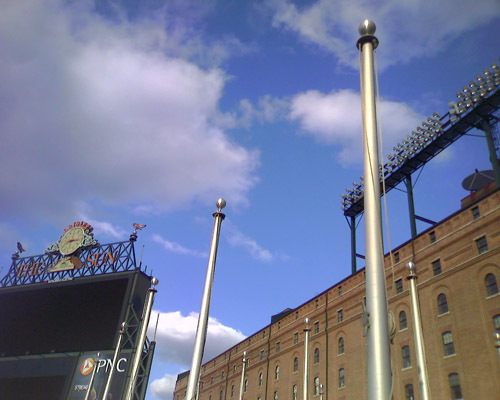 Other than that, there's not a whole lot going on in Birdland, much more in the world of baseball. I assume a few things may happen this week, and then pick up right after New Year's Day. It’s almost Christmas time here for us baseball fans. While the Orioles seem to have made some progress during the Winter Meetings and in the past few weeks in filling in some holes on the roster – now, it seems that things have gone eerily quiet. During the past month, the Orioles got a new third baseman, shortstop, a reliever and some potential bench help; however, the team is still looking for a first baseman. As we all know, the Orioles have been after Adam LaRoche and according to sources has been offered a three-year pact. The only problem is that the first baseman has not agreed to a deal – yet. Maybe he’s on vacation, or might be using the Orioles to leverage another deal. Or, he just might not be into playing for the Orioles. It does take two sides to come to an agreement. 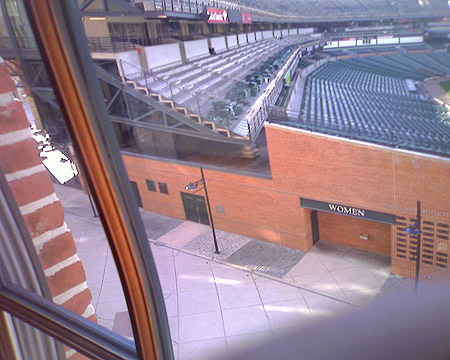 LaRoche might do some damage at Camden Yards with the short right field porch, and won’t emberass you at first. However, if you look at LaRoche’s numbers, I don’t think he’s all that great. The Orioles ARE going to get a first baseman. Of this I am certain. Adam LaRoche and Derrek Lee are the two men that the Orioles have tapped to man the right corner of the infield. One of them, most likely, will be wearing an Orioles uniform next year. Reportedly, the Orioles have at least shown heavy interest in both and may, or may not, have made offers to both. In this situation you get the feeling that both Lee and LaRoche are waiting for the other to go first and "set the market" for their services. Both players want a multi-year deal. Both have perceived shot-comings going into next season. Konerko's contract doesn't really mean anything to them due to the whole Chicago connection. And with the big spending teams already largely set at first base LaRoche and Lee are not in any real hurry. Both of these guys know that no matter where they go competition is unlikely among the teams vying for their services. The money will probably be about the same as will the length and terms of the contracts they receive. SO there is no real hurry for them, and therefore no real hurry for the teams. LaRoche and Lee are solid, good, reliable options - but they aren't superstar players. They won't increase ticket sales or, by themselves, rocket an under-performing team to sure contention or stardom. The Orioles could easily get one year's worth of production out of a player like Russell Branyan (a move I would hate) or sign an aging DH like Jim Thome or Vlad Guerrero and move Luke Scott or Nolan Reimold to first base. They could do either of those things and probably get production similar to that of either of their two coveted free agents. I think the Orioles, and the other teams involved, realize that they are largely bidding against themselves here. LaRoche and Lee are fine, but not irreplaceable and both of these guys are taking their time as well, hoping for some impatient GM to blink and tip the first domino. Christmas is right around the corner and the Winter Meetings are behind us and might I say that the Winter Meetings were very good to the Orioles. Andy MacPhail had seen Adam Dunn and Victor Martinez had spurned the Orioles; Paul Konerko had made his intentions clear and many fans were sharpening their pitchforks nand loading various implements of destruction into a red VW micro-bus - MacPhail needed to make a splash. Andy MacPhail pulled off trades for third-baseman Mark Reynolds, Short stop J.J. Hardy and he re-signed Closer Koji Uehara. MacPhail was able to significantly upgrade the entire left-side of the infield and wrap up Koji to a deal that is cheaper than what he would've gotten if he was offered arbitration. All of this was accomplished giving up only one legitimate major leaguer in David Hernandez. Now, I will miss David Hernandez, but these deals were all very solid. Then the news came that the Boston Red Sox signed former Rays Left Fielder Carl Crawford to a mind-boggling contract. All of the sudden the solid moves the Orioles made seem to pale in comparison. Here is Andy MacPhail making smart, sound baseball decisions but they seem all for nothing when all another team has to do is write a check. 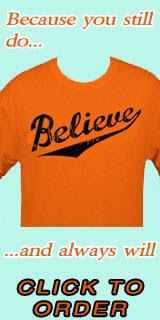 It doesn't diminish the intelligence or positive impact on the team, but many Orioles fans are coming back down to Earth. Looking at a lineup that has both Adrian Gonzalez and Crawford batting in it; a lineup that it feels like the Birds will see 200 times next year makes Mark Reynolds feel more like Melvin Mora. It shouldn't though. Yes, Reynolds will strike out a ton, but he is also the first legitimate 30 homerun threat the Orioles have had in awhile. J.J. Hardy is a huge upgrade offensively over Izturis, whom the Orioles re-signed in a utility role, and the Orioles have made headway in the search for a first-baseman as well. Rumblings have the Orioles targeting Adam LaRoche with Derrek Lee in reserve. To me LaRoche seems like the player most likely to come here; he should put up consistent, if un-spectacular, numbers and being a significant upgrade over the 2010 model. Orioles’ outfielder/designated hitter/first baseman, Luke Scott is a player who I had grown to respect over the years for his play and the way he conducts himself in public. As a fan, I obviously don’t know him all that well – aside from what he’s projected in public and in the press. I’ve been able to chat with him at a few events, plus as a fan in the park. My opinion of him is that he’s a man of faith and spiritualism, a very hard worker, humble and of course has become a hell of a hitter. Now, he's proven to be a member of the ultra-conservative, right-wing faction of this country. That's fine. However, this week, he’s made some very controversial and off-base statements about the President of the United States of America, Barack Obama. His comments centered on Obama’s birthplace – and the legitimacy of his citizenship (along with other topics) in an interview with Yahoo Sports. "[Obama] was not born here," Scott asserted to Answer Man in the session's last segment. "That's my belief. I was born here. If someone accuses me of not being born here, I can go — within 10 minutes — to my filing cabinet and I can pick up my real birth certificate and I can go, 'See? Look! Here it is. Here it is.' The man has dodged everything. He dodges questions, he doesn't answer anything." Yesterday, the Orioles – via a tweet on their official page on Twitter – distanced themselves from Scott’s comments. The overhaul of the Baltimore Orioles continued yesterday as the team acquired shortstop J.J. Hardy and infielder Brendan Harris from the Minnesota Twins for minor-league relievers Jim Hoey and Brett Jacobson. In the past week, the Orioles have filled in a few of their needs – a corner infielder with power, a shortstop and a bench player. Hardy, 28, hit .268 with six homers and 38 RBIs in 101 games with the Twins last season. He is a career .263 hitter. His best season was in 2008, when he batted .283 with 24 homers and 74 RBIs in 146 games for the Milwaukee Brewers. He was a Brewers second-round draft pick in 2001. Harris, 30, hit .157 with one homer and four RBIs in 43 games with the Twins in 2010. He is a career .260 hitter in parts of seven seasons. A former 2001 draft pick of the Chicago Cubs', he has played third base, second base, shortstop and first base in the major leagues. Hoey, a 27-year-old right hander, had a combined 6-0 record with a 3.25 ERA in 42 outings between Double-A Bowie and Triple-A Norfolk. He made 35 appearances for the Orioles during the 2006 and 2007 seasons, going 3-5 with an 8.13 ERA. He missed all of 2008 with a right shoulder injury. The Orioles drafted him in the 13th round in 2003. He was put back on the 40-man roster earlier this offseason. Jacobson, 24, went 8-1 with a 2.79 ERA in 34 relief appearances for Single-A Frederick. He was dealt to the Orioles in August 2009 in the trade that sent Aubrey Huff to the Detroit Tigers. According to reports, this deal should get done sometime today. It’s too bad to lose some young arms; however, the Orioles needed the offensive help and depth in their lineup. I’m not that in love with Hardy, but he’ll provide a lot more offense than Cesar Izturis probably could and he’s still relatively affordable. Let’s hope his bat could perhaps replicate the numbers he had with Milwaukee. As for Harris, he should provide some depth on the bench. The Orioles seemed to be in the works to acquire shortstop Jason Bartlett from the Rays on Tuesday on for Nolan Reimold and reliever Alfredo Simon. The deal was rightfully nixed by the Orioles because they felt that it was not prudent to give up on Nolan Reimold so soon after his nice 2009 season. Bartlett ended up being traded to San Diego on Wednesday. Also, the Orioles were (as expected) able to ink a deal with Koji Uehara late last night. It’s a risk worth taking despite his history in Baltimore; however, last season, he was perhaps their most reliable reliever and became the closer. He signed a contract for one year and has an option for another year. There may be more moves and signings today as the Rule 5 Draft is taking place. On Monday, the Baltimore Orioles got a third baseman as they acquired Mark Reynolds in a trade from the Arizona Diamondbacks. In turn, pitchers David Hernandez and Kam Mickolio are headed to the desert. This could be the start of a flurry of moves to finally start happening with the organization. With the options left on the market, perhaps the move for Reynolds was the best the Orioles could have made. It’s a shame to lose David Hernandez, as I thought he was coming into his own as a member of the bullpen; meanwhile, Mickolo was somewhat expendable. One would think that Baltimore would now have to hit the market once more for bullpen help. The Diamondbacks, in the trade, get rid of Reynolds’ salary along with his propensity to whiff. Hernandez and Mickolio should help them shore up their bullpen, while cutting costs and infusing more young talent into their system. Reynolds' upside is that he's still young, a slugger and plays decent third base. The strikeout totals he has accumulated the past several years are scary, plus he seemingly didn't hit his weight last season; however, you can't deny his power and RBI output. Josh Bell, based on what we saw in his season in Baltimore in 2010, looked overmatched and just didn't look ready for the big show. Reynolds should fit the bill in the short term while Bell tries to figure himself out in the minors. Baltimore needed a third baseman and they got it. He spoke to the scribes, professional bloggers, plus sports talk radio after the deal and so far has said all the right things. Well, so did manager Buck Showalter and Andy MacPhail, along with Kevin Towers -- the current GM of the Diamondbacks. Today, the Baltimore Orioles got a third baseman as they acquired Mark Reynolds in a trade from the Arizona Diamondbacks. In turn, pitchers David Hernandez and Kam Mickolio are headed to the desert. With the options left on the market, perhaps this move was the best the Orioles could have made. It’s a shame to lose David Hernandez, as I thought he was coming into his own as a member of the bullpen; meanwhile, Mickolo was somewhat expendable. One would think that Baltimore would now have to hit the market once more for bullpen help. Happy Sunday everyone and hope everything is well with you all. It's the day before the Winter Meetings down in Orlando, but over the past few days, fans have been wordering what in the world the Orioles are doing? I'm sure something will happen in the next week -- hopefully. 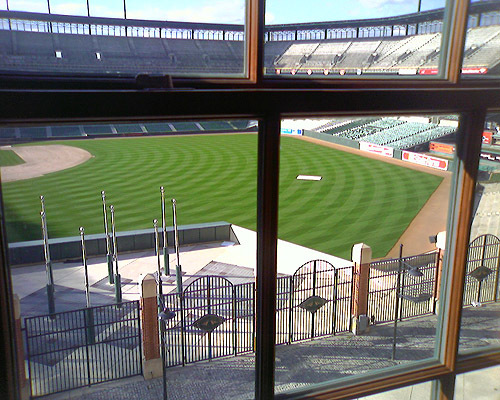 It looks like the Orioles' braintrust and Buck Showalter will be down there to see how the organization can improve at the big league level. It does look like the Orioles will have a major turnover of talent in 2011, but who the team acquires is anyone's guess at this point. Fans are frustrated, mystified and wondering who the team will get. I'm not going to jump off a building yet and consider next season a failure. 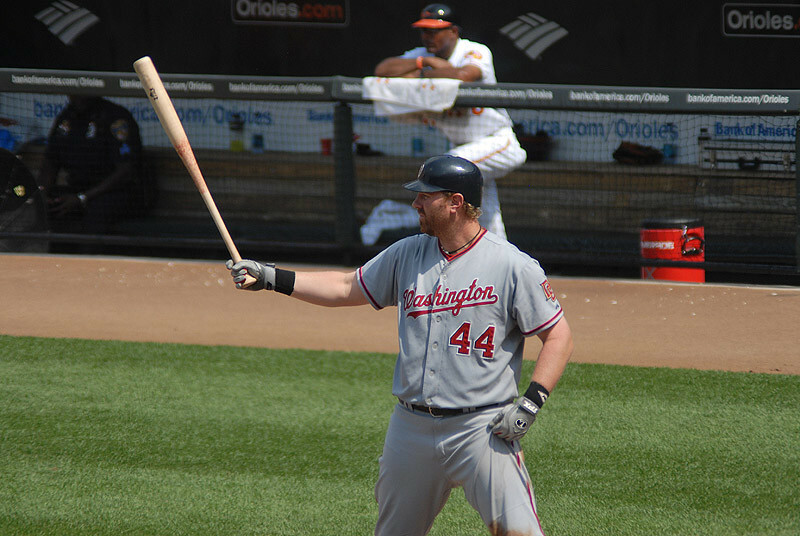 With slugger Adam Dunn, along with Lance Berkman off the board and Adrian Gonzalez seemingly on his way to becoming a member of the Red Sox -- or perhaps not, according to Jon Heyman of Sports Illustrated, it's becoming fairly obvious the Orioles need to make a move for power bat. I still think Konerko plays out his career as a member of the White Sox. No way do I see him coming to Baltimore. James, in a blog posted earlier today, notes the Orioles are looking Mark Reynolds for third base. As we know, Reynolds is currently plays the hot corner for the Diamondbacks and is available on the trade market. As much as I don't want him as an Oriole, he may not be a bad option for the short term. The strikeout totals he has accumulated the past several years are scary, plus he seemingly didn't hit his weight last season; however, you can't deny his power and RBI output. For the love of Brooks - GET REYNOLDS! The Orioles need a third baseman. Mark Reynolds is a third baseman. He plays for the Diamondbacks, they want to trade him. The Orioles have been in talks, Sports Illustrated's Jon Heyman predicts that the Orioles will get Reynolds at the Winter Meetings that begin on Monday. Simply put, this needs to happen. It simply can't not happen. If the Orioles allow Mark Reynolds to get away then Andy MacPhail, Peter Angelos and the entire Orioles front office need to stand before the crowds in January at fanfest and offer everyone a sincere apology. And possibly resign and sell the team respectively. First, who is Mark Reynolds? Reynolds is the 27 year-old thrid baseman for the AZ Diamondbacks. In his four years in the bigs he has averaged 35 homers, an OPS of .817, 100 RBI and an OBP of .334. He plays a solid third base and is considered to be a very fine young player. That is the good. The bad, He has led the NL in strike outs each of the last three years and last year finished with a BA under the mendoza line. We still get him. Why? He is the definition of buying low. This is not Carlos Pena who has declined in some way every year since his bust out year with the Rays. Reynolds is young, has raw talent and a big bat. Buster Olney tweeted earlier this week that Reynolds would, "hit 50 homers in Camden." I know the strike out numbers are alarming, but lets take a closer look at them. Reynolds struck out 211 times last year, leading the NL, and only mustered a .198 BA. That looks bad, on the surface. While striking out 211 times and hitting .198 Reynolds also: maintained an OBP of .320; drove in 85 runs (on a bad Arizona team); hit 32 homeruns; grounded into only EIGHT double plays and had a 1.033 OPS with runners in scoring position! Reynolds also averaged 4.16 pitcher per plate appearance last year well above the league average. It looks like a big fish -- who's not even a free agent -- is going to end up in Boston. The Red Sox have been lusting after this guy for a long time, and it may be an early Christmas for fans in New England. From all indications, it seems that Adrian Gonzalez is going to a be a member of the Boston Red Sox. That means, Oriole fans, we will not get him in any way shape or form at all. From ESPN: The Boston Red Sox have agreed to a deal in principle to acquire slugging first baseman Adrian Gonzalez, sources told ESPN The Magazine's Buster Olney on Saturday morning. The Red Sox have received permission from Major League Baseball to negotiate with Gonzalez on a new contract, the sources said, and Gonzalez's physical examination, one of the last hurdles to the deal, could happen Saturday. The team already has flown in Gonzalez. In exchange, the Padres would receive pitcher Casey Kelly, first baseman Anthony Rizzo and outfielder Reymond Fuentes, a baseball source told ESPNBoston.com's Gordon Edes. Sources told Olney it's very possible the Gonzalez deal would mean the end of Adrian Beltre's time with the Red Sox, because although Kevin Youkilis could move to left field, Boston's preference probably would be to shift Youkilis to third base. The Red Sox have long coveted the 28-year-old Gonzalez. As far back as the 2009 trading deadline, the Red Sox made a pitch for Gonzalez, a three-time All-Star who last season finished fourth in balloting for the National League's Most Valuable Player. The 6-foot-2, 225-pound left-handed hitter batted .298 with 31 home runs and 101 RBIs for the Padres last season. He finished fifth in the National League in on-base percentage (.393), ninth in slugging (.511) and led the league in hitting with runners in scoring position (.407). As the week comes to a close, there again has not been much news with the Orioles. On Thursday, another target of the team on the market – Adam Dunn – has decided to sign with the Chicago White Sox for four years/$56 million. Although Dunn is a flawed player (a DH at this point, not a first baseman; strikes out a ton, comes off as apathetic, slow), he’s a bat the Orioles could have definitely used. However, the Orioles only offered four years/$40 million to him? This must be a joke, right? If so, then he would have never signed with Baltimore anyway. Was this some token offer or something? It’s been reported that the Orioles have been in talks with Paul Konerko and have made an offer. It would be nice if we got his bat, but he’s older than I’d like. Plus, how much would he costs? Well, there’s still Adam LaRoche, Carlos Pena and Derrek Lee still out on the market. All three have issues, but they need a bat in a big way. Also on the shopping list is a shortstop who can provide some offense. Then again, the team also needs pitching – perhaps another starter and a reliever or two. While there have been some teams that have been active on the market, such as the San Francisco Giants and the Los Angeles Dodgers, things have been quiet on the Baltimore Orioles' front. It seems that the market has been moving a little slow, but players have been signed. Good question. At this point, most fans are wondering, "will the Orioles get their targeted players, or will they spurn us? "Who are they going to sign?" Fans have suffered 12 losing seasons and there may be a 13th, or even possibly a 14th before the Orioles perhaps even see the magic .500 mark. Buck Showalter guided the Orioles to a 33-24 record after he showed up and took the reins of the team on-field from Juan Samuel; however, like I mentioned on Monday, a nice finish to 2010 doesn't guarantee an over .500 record in 2011. The Orioles do have players they are targeting and have made offers to, but little else is known aside from that. Maybe it's a state secret that's not being divulged or something. We know Andy MacPhail isn’t saying anything at all. As James, the media and every other blog has mentioned, the team needs a corner infielder - preferably a first base man - plus, a big time bat. Apparently, the Orioles have made an offer to Paul Konerko (who is a free agent), but he's already spurned the team once before and I wonder why he would want to leave the White Sox. Would he come to an organization in a rebuilding stage? He's older and has never been particularly fleet on foot, but he's got a solid bat with pop -- alas, he is also on the wrong side of 30. I still do have affinity towards Dunn, considering what I saw from him in Washington, plus his power numbers. However, will Baltimore give him the money to come and hit Camden Yards 81 times a year? Plus, would Dunn want to give up the notion of playing first base full-time and be a DH? Then again, could Dunn hack it as a DH in the American League? I mean, Pat Burrell joined the Rays in 2008, got released because he seemingly could not hack it the AL. Therefore, he joined the Giants, found a home there and won another championship.